Okinawa: Japan's Mad, Mad Salad! Located in the very centre of Polynesia in the South Pacific, the Cook Islands are the definition of an island paradise. Fringed with flawless white sand beaches, sheltered by swaying palms, surrounded by pristine blue and aquamarine waters, and populated by some of the friendliest people on the planet, the nation’s 15 islands are among the best kept secrets in the world, an idyllic refuge for anyone seeking tropical perfection. It’s said that great things come in small packages—that’s especially true of these quaint, enchanting lands. Although spread over 2.2 million square kilometres of azure water, halfway between New Zealand and Hawaii, the islands themselves total only 240 square kilometres of land and are home to only 19,000 people. But, had Mother Nature herself possessed Photoshop, these flawless shores could scarcely look any more perfect than they already do. The first people to visit the Cooks were Polynesians, arriving on enormous catamaran-like vakas. 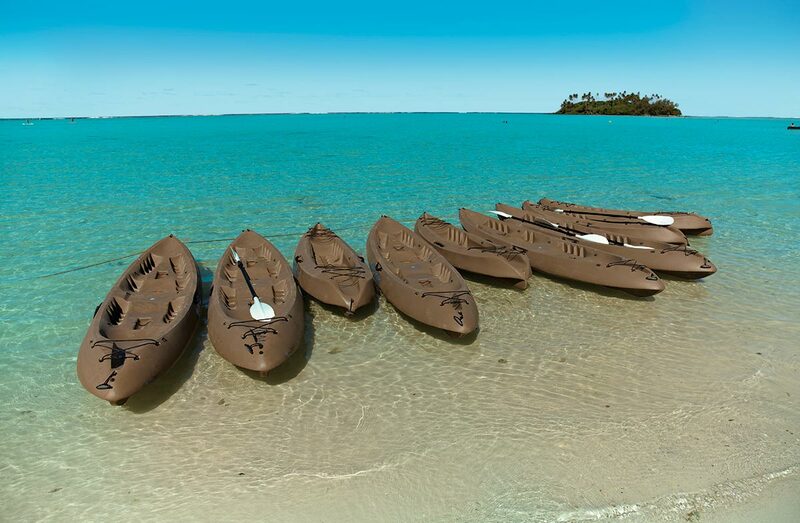 These double-hulled wooden canoes had carried Polynesians around the Pacific for thousands of years before they took a party from Tupua’i (now French Polynesia) to the Cooks’ main island of Rarotonga about 1,200 years ago. Those first arrivals stayed and forged a unique land that today is truly treasured. The first Europeans to encounter the Cook Islands were Alvaro de Mendaña de Neira and Pedro Fernandex de Quiros while exploring the Pacific for “Terra Australis” in 1595. Quiros was so charmed by the greeting he received that he named the island Gente Hermosa (Beautiful People). Neither explorer settled on the islands as they were searching for lands with larger purses, but the idyllic atolls soon began to feature on European-drawn charts and maps. Almost two centuries later, Captain James Cook sighted the Cook Island of Manuae. He later added Palmerston, Takutea, Mangaia and Atiu to his resume, though he actually only ever set foot on Palmerston. He named the archipelago “The Hervey Isles” after Lord of the Admiralty Augustus Hervey, only to have them renamed in his own honour by a Baltic-German admiral some decades after his untimely death. The new name stuck. 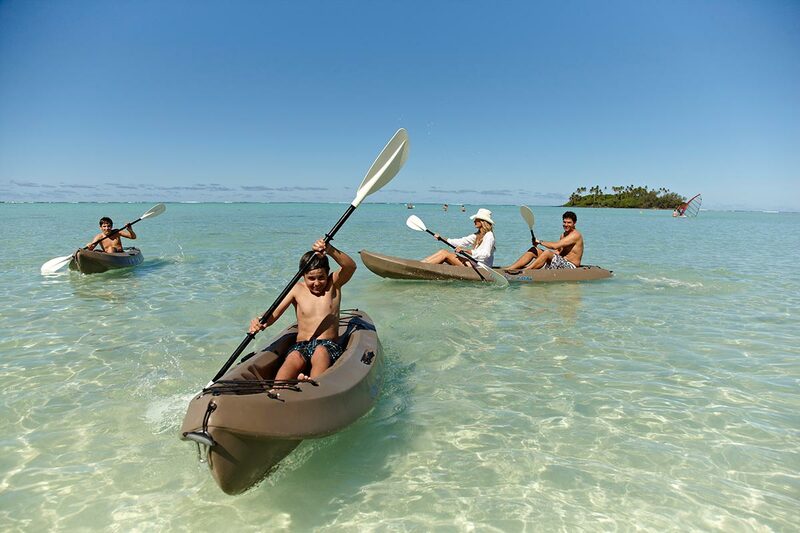 Visitors to the Cook Islands today don’t have to spend months at sea to get there. Instead there are regular direct flights from the United States, New Zealand, Australia and Tahiti. In fact, it takes only slightly longer to reach the island paradise of Rarotonga from Los Angeles as it does to reach Rome from Toronto. From the moment you step off your aircraft, with the swaying scent of fresh flowers blowing in a seaborne breeze, you’re embraced by a warm, wonderful hospitality. Cook Islanders are a proud people. Proud of their history, their culture, their legends and traditions, their home—nothing makes them happier than sharing it with visitors. Rarotonga is one of the nine Southern Islands, the largest of all the Cooks, and home to the country’s capital, Avarua. Although the Cook Islands is an independent nation with its own prime minister and parliament (though Queen Elizabeth II is its official head of state), it defers to New Zealand for defence and external affairs matters. The Cooks became a British Protectorate in 1888 when Queen Makea Takau requested British assistance to prevent a feared takeover by France. The British transferred the islands to New Zealand in 1901, and it remained that way until the country gained independence in 1965 as a self-governing territory in free association with New Zealand. Looking like a fairytale land out of Jurassic Park, Rarotonga is the epitome of a lush, tropical island. From the beach the eye rises to the tops of elegant palms and beyond to thick, verdant jungle that climbs the precipitous slopes of a once mighty volcano. The volcano’s cone, collapsed and chiselled by the elements, now resembles sharp teeth soaring into the endlessly blue sky. Beneath the summit of Te Manga, generations of Rarotongans have carved out patches of land to plant with bananas, pineapples and paw paw, while small villages dot the shoreline. Rarotonga has a circumference of just 32 kilometres, much of it blessed with spectacular beaches and all of it surrounded by an impossibly-blue lagoon that stretches more than 100 metres out to the island’s encircling coral reef. With warm, tropical temperatures and achingly blue skies year-round, Rarotonga is heaven on Earth for anyone seeking to escape the winter cold and damp. Accommodation varies from B&Bs, guesthouses and backpacker hostels, to private beachfront villas and the most luxurious accommodation imaginable. But regardless of budget, on an island that measures just 67 square kilometres, you’re never going to be far from a postcard-perfect beach. Whether your idea of heaven is to simply laze in a hammock with a book and be serenaded by the sound of the breaking surf, or to collapse into bed exhausted after a day spent swimming, snorkelling or scuba diving, there’s more than enough activities to ensure no matter how long you stay it will never seem long enough. Rarotonga’s first inhabitants arrived by water and the ocean remains as important to modern Rarotongans as it was to those early Polynesians. There’s no shortage of locals willing to direct you to their favourite beach, or tour operators eager to take you to their prime snorkelling spot or coral islet. You can head out for a spot of fishing, or just catch up with local fishermen happy to offer you their freshest catch. In the unlikely event that you grow tired of feeling sublime white sand between your toes, you can trek into the interior. There is a popular cross-island trail that passes Te Manga, or you can climb to the 340-metre-high summit of the flat-topped Mount Raemaru, which offers magnificent views. If you fancy some local history, you can explore Ara Metua, the 29-kilometre ancient inner road that was constructed in the 11th century, and which passes several important marae, or sacred places. Alternatively, you can trek to Papua Waterfall, or engage in a spot of birdwatching, hoping for a glimpse of the endangered Rarotonga monarch—a species of flycatcher that was in such peril in the mid-1980s it was then-regarded as one of the most threatened birds on the planet. If you opt for a local guide, you will likely not only learn about the island’s rich flora and fauna, but also be regaled with equally rich tales of the island’s history, myths, legends, fact and fiction. And don’t be surprised if you are invited home for dinner afterwards. For those wishing something less strenuous, the Cook Islands is renowned for having some of the best artists and most skilled craftsmen in the Pacific, and nowhere is that more evident than on Rarotonga. 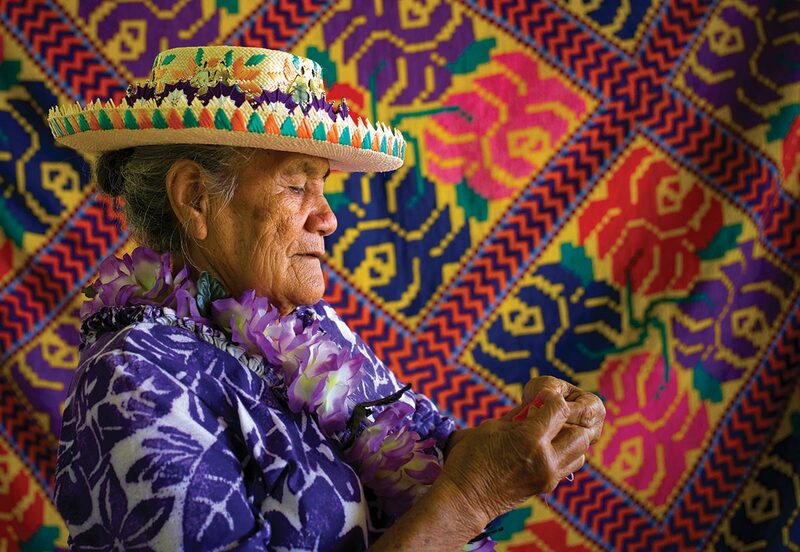 For centuries, Cook Islanders have expressed themselves through their art. The vaka, the very craft on which people first arrived on the islands, are wonderful examples of artistic skill themselves—that talent continues to flourish. When missionaries arrived in the Cooks in 1821, there were aspects of Polynesian life that offended their sensibilities, and which they tried to ban. 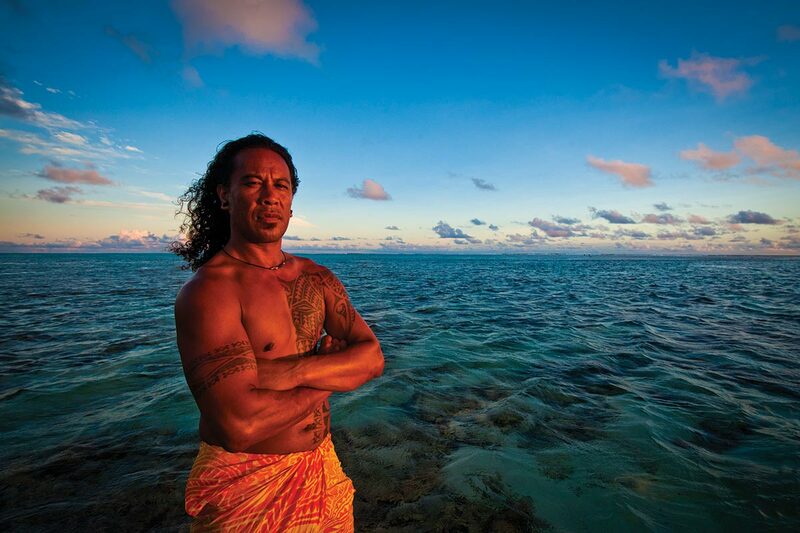 While Cook Islanders largely converted to Christianity and continue to embrace the religion today, they did not do so at the cost of sacrificing their own cultural heritage—traditional singing, dancing, drumming and tattooing not only survived but thrived, and remain an integral part of modern Islander life. Traditional tattooing, comprised of in-depth, intricate, time-honoured designs that draw deeply from the islands’ history and are worn with immense pride, has re-emerged in recent years and is thriving. The truly adventurous souvenir hunter could seek out a local tattoo artist for a traditional design or a more contemporary one that uses cultural motifs—leave the Cooks feeling like a warrior! If ink isn’t quite your thing, Rarotonga is especially renowned for its magnificent wood carvings, which often portray Tangaroa, the Rarotongan god of the sea and fertility, and the symbol of the Cook Islands. The finest and most ancient examples of this craft can be found in leading museums around the world, while modern works can be purchased in stores and galleries across the island or directly from artists. The same patterns used in tattoos and carvings also appear in tapa cloth, the traditional barkcloth works found throughout much of the South Pacific. Ever since Captain Cook took the first tapa cloth back to Europe in the 18th century, the beautifully decorated textiles have been hugely popular with collectors, and the Cooks offer some of the best pieces anywhere. As traditional and cultural as tapa cloth is local basket weaving. Although once solely practical and used for fishing or carrying goods, the beautifully-woven baskets—created using coconut fibre or other similar island materials—are now fantastic examples of superb local craftsmanship. There are also many other ways Islanders express their artistic talents, and in which you the traveller can revel—from paintings and clothing, to jewellery and hand-prints, all of which draw on a rich heritage yet are thoroughly modern in their outlook. Best of all, Islanders don’t understand the “hard sell” concept, and genuinely want you to take their crafts home. While the Cook Islands may be visually spectacular from an artistic perspective, the sounds of the Cooks are equally joyous. Just as the missionaries could not stamp out the tradition of tattooing, so they failed to dampen the local love for music—today, Cook Islanders are regarded as the finest entertainers in the Pacific, Polynesia’s best drummers and dancers. Children begin to pound the drums almost before they can walk, while older people learn to master the traditional ukulele, which is made from coconut shells and heard everywhere from night clubs to official functions. The Ura is a sacred ritual in which a dancer’s movements tell a story to the pounding beat of drums—it will move your heart, mind and imagination just as effectively as your feet. But beware: if you tap your toes too enthusiastically, you might well find yourself at centre-stage alongside the performers! If you’re seeking proof of the synthesis between Polynesian and European life, you need look no further than the Islands’ beautiful churches, which resonate with chants and hymns during their regular services. After discovering the island and its people, you can always settle down to a good meal, and here again the Rarotongan hospitality will ensure you don’t leave until fully sated. Cook Islands dishes not only feature the freshest seafood imaginable—including clams, octopus and Ika Mata, a local form of ceviche, which takes raw fish and prepares it with lemon or lime juice and is accompanied by coconut cream—but also suckling pig and many crops grown locally: coconut, paw paw, taro. Stunningly succulent. If the thought of all that activity leaves you tired, rest assured getting back to your accommodation won’t be difficult. Not only is the island small enough to be eminently explorable, but there are as many modes of transport as there are songs in the breeze. If hiring a car doesn’t appeal (Canadians can use their international driver’s licence for up to six months—but remember to drive on the left! ), you could opt for a bicycle, or even a scooter, and let those same breezes refresh you as you pass by spectacular ocean vistas and smiling local faces. There’s also a local bus service that operates clockwise and counter-clockwise along the 32-kilometre road that circles the island, and which will pick you up and drop you off anywhere—all without a single traffic light in sight! While Rarotonga will likely be the starting point of your Cook Islands exploration, it certainly shouldn’t be your last—it is, after all, just the first of the country’s 15 islands. The Southern Group of the Cook Islands, which includes Rarotonga, are connected by the local airline, Air Rarotonga, with regular flights to Aitutaki, the island with the second highest population. 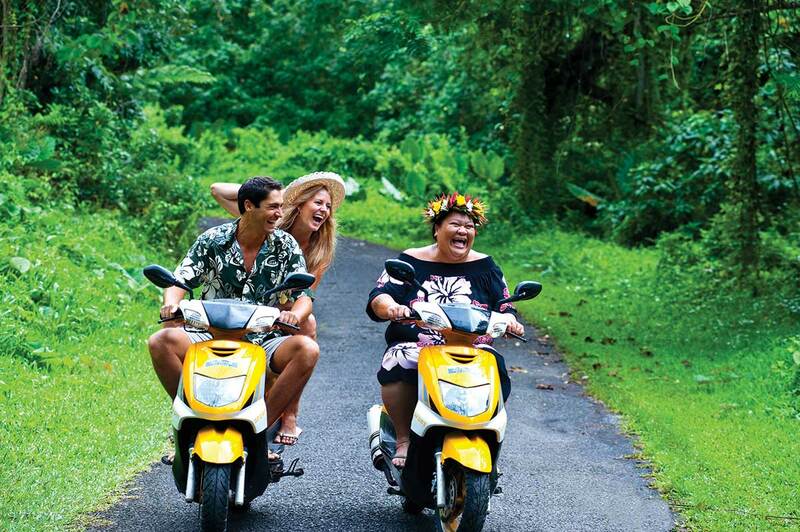 Like all Cook Islanders, Aitutakians are a fiercely proud people. They believe they are descended from Ru, a famous seafaring warrior who settled on the island with four wives and a coterie of strapping attendants and beautiful maidens. His party landed during a full moon and he was so taken by its reflection in the island’s lagoon that he named his point of arrival O’out, or full moon, a name that still stands. If your appetite for lore and legend was whetted by the tales of Ru, then befriend any Aitutakian and sit back. The highest point of the island is the 123-metre-high Maunga Pu hill. Aitutakians believe that Maunga Pu was once the peak of Rarotonga’s flat-topped Raemaru Peak, and was carried back to Aitutaki by a group of warriors after a famous victory. When you climb to the top of the lookout and gaze out across the entire island, you’ll be grateful for their choice of war booty! You can play golf, go fishing, visit the markets, explore by bicycle or scooter or just relax. (You can also easily venture to neighbouring One Foot Island: not only does it boast one of the world’s most remote mailboxes, but officials will even stamp your passport as you step ashore!) Aitutaki offers impeccable snorkelling and the sort of scenery that’s usually reserved for calendars and travel brochures. And, if Cook Islanders are considered the showmen of the Pacific, Aitutakians are considered the showmen of the Cooks, with drum-pounding, hip-wiggling and fire-dancing all on display. There are a number of accommodation options on Aitutaki, once again ranging from backpackers’ lodges to luxury resorts—you could also take a day trip from Rarotonga for a whirlwind visit. 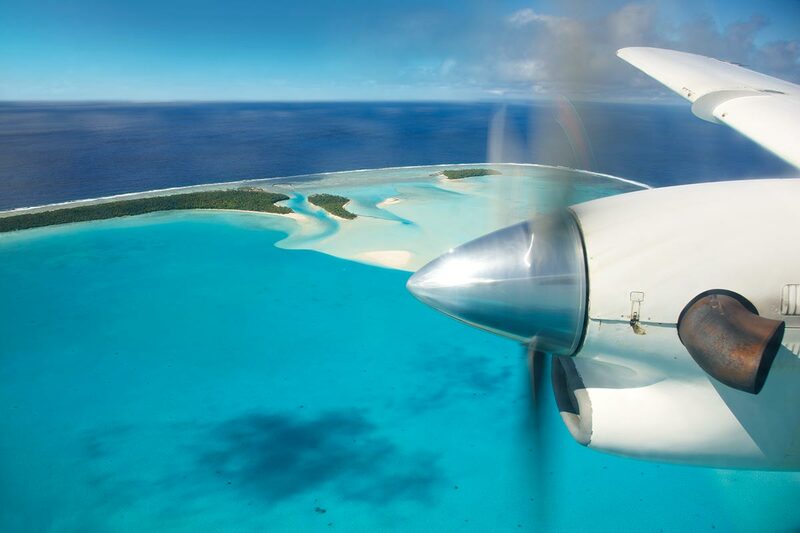 The Cooks’ third largest island is Atiu, which is about a 50-minute flight northwest of Aitutaki. This is not the place to come if you fancy a night on the town—there really is no town on Atiu, but rather five small villages, a few cafés and a population of barely 400 people. 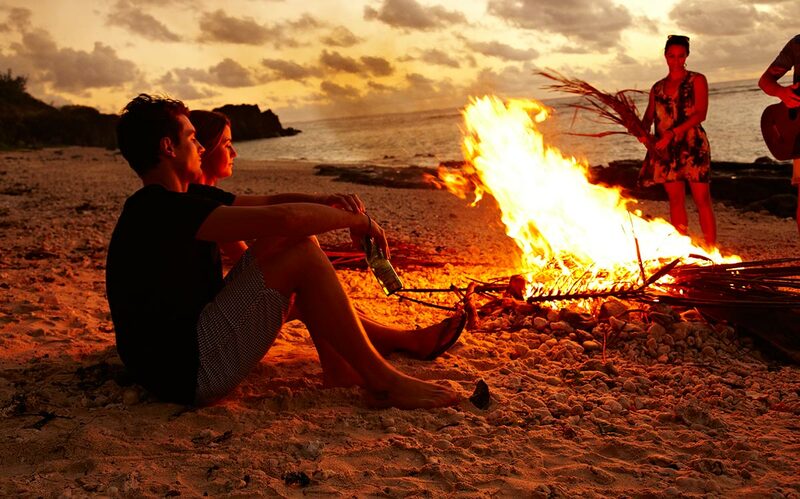 Yet if total serenity and glorious nature are your desire, Atiu is the place for you. The island is more than eight million years old, and was once home to some of the region’s fiercest warriors; now it’s more likely to be the calling place of those who find even Rarotonga a bit too busy! Surrounded by a coral limestone reef, the island’s beaches are blissfully secluded and begging to be discovered. The volcanic island’s rich soil has become home to some of the finest Arabica coffee plantations in the Pacific, and when conditions are right the gentle scent of roasting coffee beans drifts across the land. As great are its beaches and its coffee, its tranquility and its scenery, perhaps Atiu’s ultimate claim to fame is that it’s a birdwatcher’s paradise. Whether seabirds along the coast or more colourful species flitting through the island’s dense rainforest, Atiu offers everything from the kura and tavake to the white-capped noddy and blue kingfisher. And if none of these imaginative names means anything to you now, a few hours with an enthusiastic guide will make you a convert for life! If there is one main star of the birdwatcher’s show it must be the tiny kopeka: a swiftlet that lives in the island’s limestone caves, navigates by bat-like sonar and is found nowhere else on Earth. It’s enough to make even the least interested become a confirmed twitcher! After a hard day’s birdwatching, what better way to unwind than by partaking in some local tradition. When the missionaries frowned on drinking, the islanders headed into the bush for the ritual of tumunu. A half coconut is filled with fermented fruit juice and passed around a circle of people. The ceremony starts and ends with a prayer—but what happens in between, stays in between. The Cook Islands are divided into two groups: the Southern Group and the Northern Group. There are nine islands in the Southern Group including Rarotonga, Aitutaki and Atiu, and all are impossibly beautiful. 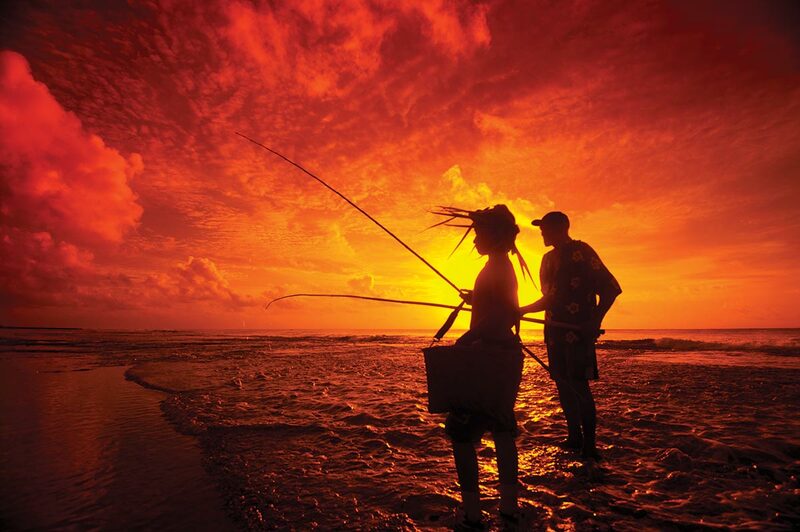 Mangaia is believed to be the oldest island in the Pacific, and is the most southerly of the Cooks. Despite being the country’s second largest island, it only has a population of 500 people. Yet it is historically and incredibly rich, with ancient caves that stretch for kilometres and are treasure troves of archaeological and anthropological wonders. Mitiaro is the flattest island in the Cooks. A former volcano that collapsed into the sea before rising up again, Mitiaro has a population of 180 people and less than 10 cars! While just about as peaceful and tranquil as you can find anywhere on Planet Earth, it is home to the Cook Islands’ only fort, Te Pare. This ancient ruin harkens back to more violent days, when raids by warriors from other islands were common. The island also has two freshwater lakes, a network of spectacular underground caves and pools, and offers wonderful homestay opportunities with local families. Once reputedly known as Akatokamanava—the place where my heart rested—the island of Mauke is now best known for its vast underground cave. The Motuenga has 100 separate underground chambers and is believed to be connected to the sea. If visited with a local guide, you can immerse yourself in its crystal-clear, cool, dark, subterranean waters illuminated only by flickering candles. Back above ground you can visit the largest Banyan tree in the Southern Hemisphere, or sample the noni: an ancient island herbal medicine touted to cure everything from bowel irregularities to diabetes, liver diseases and urinary tract infections. Provided you can actually manage to down the strong-smelling, unpleasant-tasting fruit! The idyllic Palmerston Island has a unique history, even for the Cooks. In 1863, a British ship’s carpenter and barrel-maker named William Marsters arrived on the island with two Polynesian wives. Over the coming years he fathered no fewer than 23 children, the youngest of whom only died in 1973. Today, there are more than 1,000 Marsters scattered throughout Palmerston, Rarotonga and New Zealand. Despite the best efforts of time, Marsters’ original home, constructed using the timber of shipwrecks that foundered on local reefs, remains intact to this day. The final two islands in the Southern Group are uninhabited: Takutea and Manuae. To visit Takutea requires special permission from the High Chief, and cooperation from the weather gods and the sea. The island has likely never been lived on and its reefs are absolute untrammelled perfection, provided you can actually manage to make it ashore. Now a bird and turtle sanctuary, Takutea also holds another attraction for visitors: it offers two of the best surf breaks in the Cooks. Unfortunately, the surfing is at its best when the weather is at its worst—for that reason, despite some good efforts, no surfer has ever succeeded in availing themselves of its purported 400-metre rides. Manuae is one of the most remote of the Southern Group, sitting as it does some three to four hours from Aitutaki by only the sturdiest and most expertly piloted boat. Once a thriving community, Manuae’s population gradually declined until it was abandoned in the 1970s. Today it is forbidden to live there, and aspiring visitors to this tropical atoll that teems with incredible marine life, turtles and the endangered bristle thighed curlew, must apply for permission from the Island Council. The six islands that form the Northern Group are more remote and generally harder to reach than their southern neighbours. Yet their beautiful beaches and unique attributes—as well as the lure of black, white and golden pipi pearls—have long drawn explorers and adventurers. Pukapuka is the most densely populated of the northern islands, with 600 people calling it home. Unlike the rest of Cook Islanders, who speak English and Cook Island Maori, the people of Pukapuka speak Pukapukan (and English too), a language closer to Samoan that is completely unintelligible to most other Islanders. It is not just the language that differentiates them from their countrymen—Pukapukans operate by a unique sense of community laid down by their ancestors centuries ago. The island believes that the welfare of the entire population comes before that of the individual. It is an ethos that is unquestioningly and successfully adhered to. The atoll of Penrhyn, the Cooks’ northernmost island, boasts some of the best game fishing in all of the country. The island’s lagoon offers superb angling as well as bone fishing, and the catches are widely available across the atoll for anyone who doesn’t want to cast a line themselves. The locals are admired throughout the Pacific for their skill at weaving rito—young coconut fronds boiled in seawater and left in the sun to dry to a strong white fibre—into hats, mats and fans often interwoven with inlaid mother of pearl. If you’ve ever dreamed of making your fortune with pearls, then Manihiki is your place. But don’t be fooled, the pearl business is difficult and dangerous. Black pearls only grow in the Pacific, and the island of Manihiki is the centre of the Cook Islands’ pearl industry. Manihikians learn to navigate the shallow waters and razor-sharp reefs from a young age, and quickly become marine masters. They must be expert divers, swimming to impossible depths to retrieve the coveted treasures, and must know how to survive on remote islands. Tens of thousands of black pearls in every shade, from green and blue to purple and silver, are fished each year and sold around the world. Rakahanga is Manihiki’s sister atoll. Lying 42 kilometres to its south, it’s comprised of two main islands and seven islets. Instead of pearls, Rakahanga offers coconut crabs. Ninety kilometres northwest of Pukapuka sits Nassau, the only island in the Northern Group that is not an atoll, and the only one without a lagoon. It also doesn’t have an airstrip, and with only a very infrequent inter-island boat connection to Pukapuka, the 75 inhabitants have become very self-sufficient. That hasn’t, however, stopped them from offering visitors who manage to stop by a typical Cook Islands’ warm and friendly welcome. The last of the 15 Cooks islands is Suwarrow, also known as “Treasure Island.” Reached only by private yacht or chartered vessel, inhabited only periodically by a few caretakers, Suwarrow is the very epitome of the desert island. 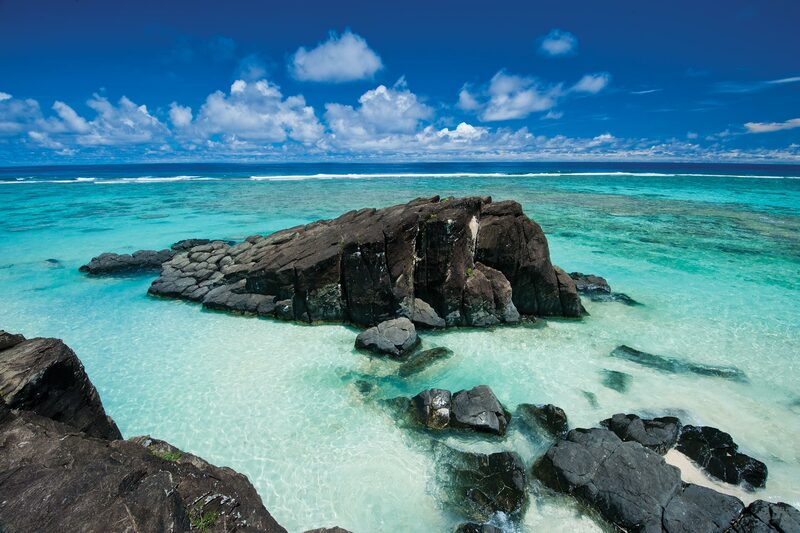 Larger than Rarotonga but mostly inaccessible, the island has attracted its fair share of would-be Robinson Crusoes. Several outsiders have chosen Suwarrow to fulfil their desert-island dreams and have survived to tell the tale—but it is buried treasure that captures imagination. In the 19th century, a ship from Tahiti discovered a submerged iron chest on Suwarrow that contained the equivalent of $5 million in coins. Later that century, Henry Mair, a New Zealander, came across jewellery and pieces of eight hidden in a turtle nest there. Unable to carry his loot, he vowed to return but died before he could. It is thought that Mair’s treasure is still there, along with others that may have been left by passing British, Spanish or French ships. But Suwarrow is not alone in having treasure—the Cooks are overflowing with wealth. From impossibly-perfect beaches and friendly, smiling faces, to seafood feasts, warm tropical weather, to serenity and tranquility—like a lost iron chest, this South Pacific paradise is awaiting your discovery. Writers, photographers, editors and videographers with Outpost Travel Media have travelled to the furthest corners of the world to bring you travel stories you love. 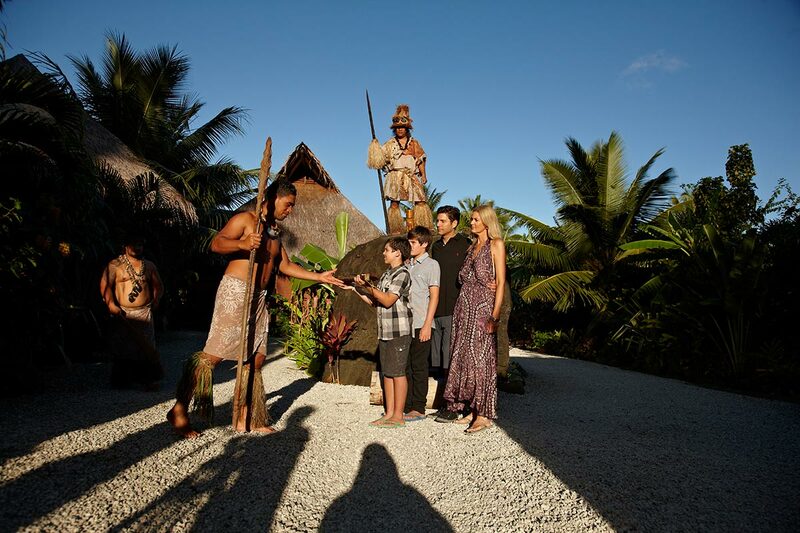 Win an Outpost Cook Islands Adventure! I would like to celebrate my next milestone birthday there. I would not have to go to paradise after that, I would have already been there. This truly would be a DREAM come true! Thank you for the opportunity.